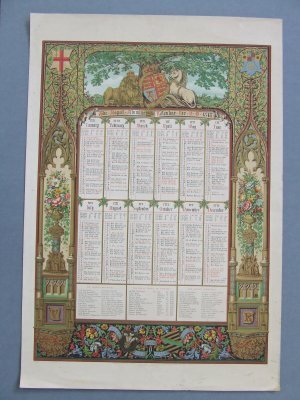 Abstract The Royal illuminated calendar for AD 1848 on one sheet. Holy days and significant events are given for each day. Edges are illuminated in gilt and colour with the royal coat of arms, designed and drawn by F. Bedford. Royal family of England and the Queen's ministers are also listed.